The ghosts of ecommerce presents: past and future…..! Christmas Day is predicted to be the busiest shopping day of 2017 – on Christmas Day 2016, 66% of purchases were made using a smartphone and it’s not too difficult to see why this is – think Row easy is it to browse the best deals whilst sitting down in front of Christmas TV? 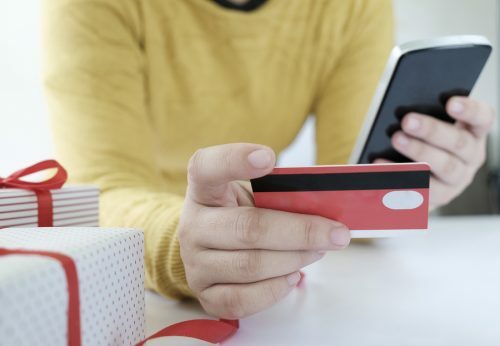 A discernible trend emerging in ecommerce appears to be that periods of downtime away from work encourage shoppers to browse the net for the best deals. With this in mind, it’s essential that your checkout page is fully optimised for smartphones, easy to use and that your despatch labels are clear, making returns easy. Smartphone sales are set to grow by 14% this year and this figure will continue to increase every year – last year smartphone sales were up by 51% on 2015. So what can retailers learn from this? Improving checkout on smartphones is certainly something to consider as mentioned above. David Jinks (Head of Consumer Research at ParcelHero) predicts that ‘Between 2020 and 2030 half of the UK’s existing shop premises will have disappeared and by 2030 e-commerce will account for around 40% of all UK retail sales’. This further indicates the importance of offering a hassle-free online shopping experience if you want your customers to stay loyal to your brand. Black Friday (which is today as it so happens!) will see more ecommerce than ever. In 2016, it was recorded as the biggest day in ecommerce, overtaking Boxing Day when the traditional sales begin. In light of this, it’s no surprise that sales surges are coming earlier than ever. A significant change is that shoppers have actually started to look at items around the Halloween period, presumably to identify the deals they want by the time Black Friday comes around. Retailers and brands should be keeping this in mind when promoting Christmas to shoppers: the latter are clearly ready for Christmas earlier than ever before! The fact that customers are thinking ahead with their online purchases, means it is likely we will see the same trends around the Valentine’s Day and Easter period in 2018. With this in mind, promoting and getting the despatch labels you need at an earlier date is more important than ever. Cyber Monday and Green Monday are also set to be 2 significant dates in the world of ecommerce and sales on these days continue to grow year upon year. Reduces the need for unnecessary paper and printers, saving time and resources. Combines several labels into one making the returns process very clear and easy for your customers – a complicated returns process will alienate your customers, especially around the festive period. They allow you to get creative – integrated labels are a great opportunity for you to get feedback from your customers, for example, you could incorperate a survey asking for customer feedback, giving you the opportunity to develop your service. Click here to read more about integrated labels at Forms Plus. Our site is fully optimised for smartphones and laptops alike, so it’s easy to get your hands on the products you need to make the Christmas shopping experience stress-free for customers. Forms Plus supply labels to suit platforms including Etsy, Amazon, Ebay and Not On The High Street – if you are unsure about what kind of labels to purchase, you can read our blog about which type of labels suit each of these here. Our last despatch date before Christmas is Thursday 21st December. Our offices close at midday on 22nd December and re-open on 2nd January at 8.45 am. Maximise your sales this Christmas by stocking up on shipping supplies, labels and business stationary. Forms Plus also offer a dedicated print management service, taking the stress of keeping on top of stock out of your hands. Find out more about this here. « Forms Plus supply labels to suit Amazon, Etsy, NOTHS & Ebay platforms….